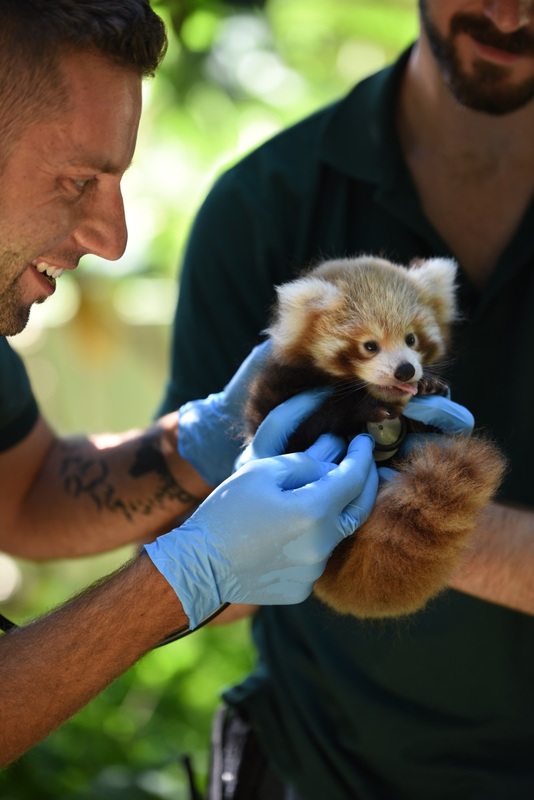 Perth Zoo in Australia has welcomed a Red Panda cub. The two-month old boy, who hasn’t a name yet, was born to 9-year-old mother Anusha, who was also born at Perth Zoo, and 6-year-old father Makula, from Canberra. 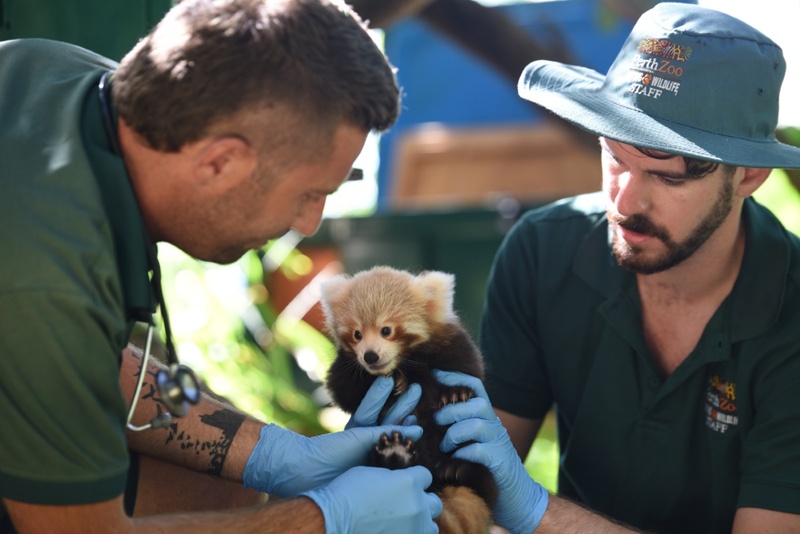 “Our veterinarians gave our furry new arrival a quick health check of its body condition, eyes, teeth, ears and weight,” Perth Zoo Keeper, Marty Boland said. The cub also got vaccinated and microchipped. 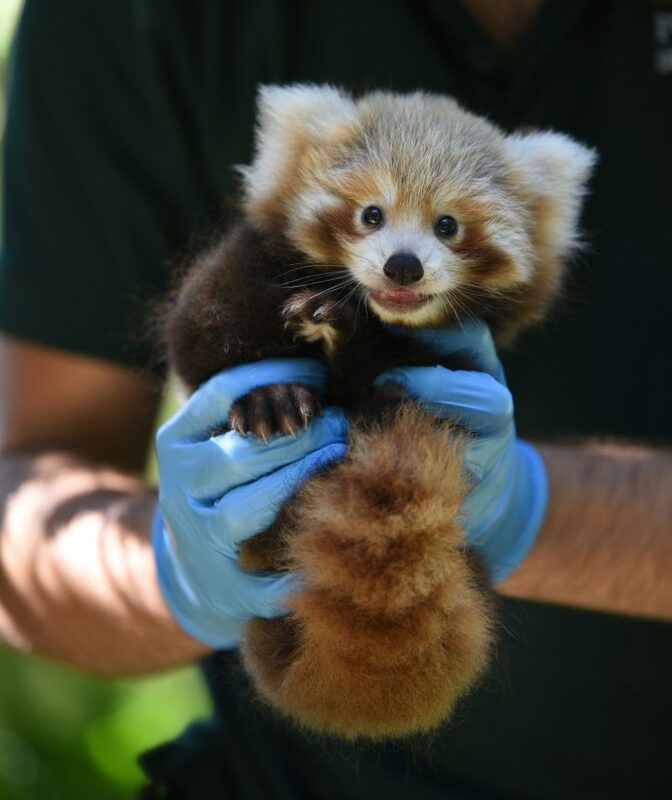 He is one of 19 Red Pandas who are successfully reared at Perth Zoo since 1997 and is expected to emerge from the nest box in April. The zoo also cooperates with the Australian wildlife-protection organisation Free the Bears who rescued six Red Pandas in Laos. According to Mr. Boland, the Perth Zoo team “are also consulting with Free the Bears, providing advice on appropriate diets and how to reduce heat stress”. Check out Perth Zoo’s Wildlife Conservation Action programm which supports Free the Bears and TRAFFIC.